Plastic pollution is a growing concern, particularly in developing nations where clean drinking water might not be easily accessible and people have no other option but to use plastic water bottles. In recent months, the plastic problem has pushed to the forefront of mainstream conversations on sustainability, as the movement to eschew single use plastics in favor of reusable options gains momentum. Single use plastics wind up on our streets, beaches, and waterways. 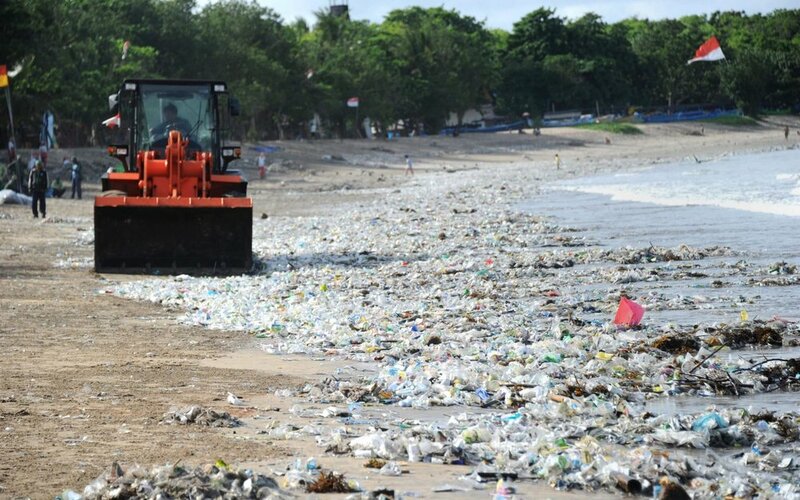 There is perhaps no other place where this is most evident than in Indonesia, which is the second biggest plastic polluter in the world behind China. A visit to any beach during the rainy season is a stark reminder of this fact, as piles of plastic trash mar an otherwise idyllic paradise. This point was not lost on the founders of Bali based accessories brand, Batu Bali, which donates 50% of profits to an organization working toward reducing plastic waste. "If you have more than enough you should make someone else's life better"
These are honorable words to live by and Desy, co-founder of Batu Bali, is trying to do just that. Originally from Germany, Desy and her sister, Chantal, the other half of the brand, have traded (vegan) schnitzel for nasi goreng , relocating to Bali in 2011. But don't assume that they're on permanent holiday- these girls live true to Desy's motto. They feed about twenty stray dogs every day and rescue dogs and cats who are in terrible condition - paying for their vet bills, and allowing them to recover safely in their own home until they're healthy (and well behaved enough) to get adopted. They also organize monthly sterilization days in which anyone can bring their dog or cat to get sterilized free of charge. They manage all of this rescue work on top of their full time jobs, AND running their business, Batu Bali. Last week we found three dogs who needed urgent surgery and two kittens whom we saved from drowning in a river. We have 11 pets already and taking care of all of them, bottle feeding every two hours and so on is a full time job already yet I still have to do my ACTUAL work and all the work that comes with Batu Bali… Sometimes i wish the day would have 34 hours instead of 24. In addition to their love for animals, Chantal and Desy have a reverence for the environment and, upon moving to Bali, were alarmed by the pervasiveness of plastic trash throughout the island. Looking for ways to help in their day-to-day lives, they volunteered at local beach cleanups hosted by the Bye Bye Plastic Bags Foundation, which they soon began making regular financial donations to. 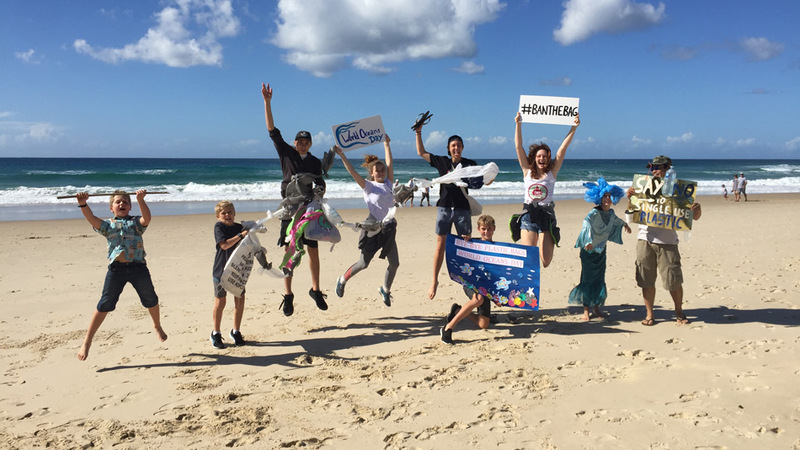 Founded in Bali in 2013 by a pair of 10 and 12 year old sisters, Bye Bye Plastic Bags has since spread to countries around the world as an inspirational youth-led movement to ban the use, sale, and production of plastic bags. As supporters of Bye Bye Plastic Bags, Desy and Chantal quickly realized that donating out of pocket wasn't a sustainable way to support them, so they brainstormed how they might become sponsors and settled on starting a social enterprise model of business. We wanted to find a more sustainable way to keep helping them (Bye Bye Plastic Bags) out and that’s how our social enterprise Batu Bali was born. We wanted to create a brand that was influenced by our beautiful island home, but which also contributed back to it. Neither had a background in jewelry design; Chantal was a nurse, and Desy is an arabic translater, but they knew they wanted to sell something that would be both beautiful and long lasting, and act as a token of sorts. And, so, they settled on bracelets. From the get-go, it was a priority for the girls to provide fair pay and sustainable employment to their workers, and so they work with five female artisans in a village called Mengwi, who work together from their homes so they're able to look after their children. All the bracelets are handmade using semi-precious natural stone and gold-plated or natural silver beads. The pouches they're packaged in are made from recycled cotton. 50% of profits from the bracelets goes directly to Bye Bye Plastic Bags. They have future plans to donate to other non-profits they hold dear, as well, including: Bali Animal Welfare Association , Villa Kitty , and the Orangutan Foundation Intl. This will be done by donating 100% of profits from a special limited edition bracelet. Desy and Chantal are big believers in personal accountability, and think that everyone should do their part, however small it might seem, to help not only reduce plastic waste, but do what they can in their daily lives to make the world a better place for everyone. We believe that taking responsibility is the first step. Reduce your own plastic use when possible: with a little preparation, we can all cut out single-use plastics from our day to day lives. Refusing all straws, plastic bags, takeaway coffee cups and food containers, as well as all other single-use plastics can feel challenging at first, but it is these small steps that will have a huge impact. We can all be changemakers. There are so many small or big things everyone can do! Every little thing counts! "To leave the beach better than you found it sometimes means to pick up other peoples trash." You can also choose to donate to non-profits that support causes you care about, or spend your money with brands, like Batu Bali, that give back to those organizations, all while supporting fair employment to women in their communities. Batu Bali also makes bracelets for men and ships worldwide.